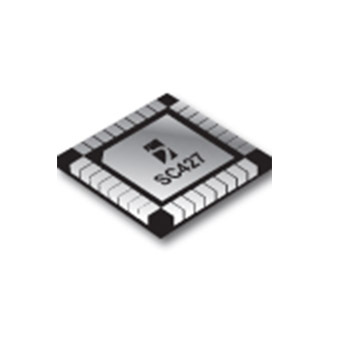 The SC417/SC427 is a stand-alone synchronous EcoSpeed® buck regulator which incorporates Semtech’s advanced, patented adaptive on-time control architecture to provide excellent light-load efficiency and fast transient response. For selectable ultrasonic power-save see SC417 product page. Point-of-load power supplies and module replacement.